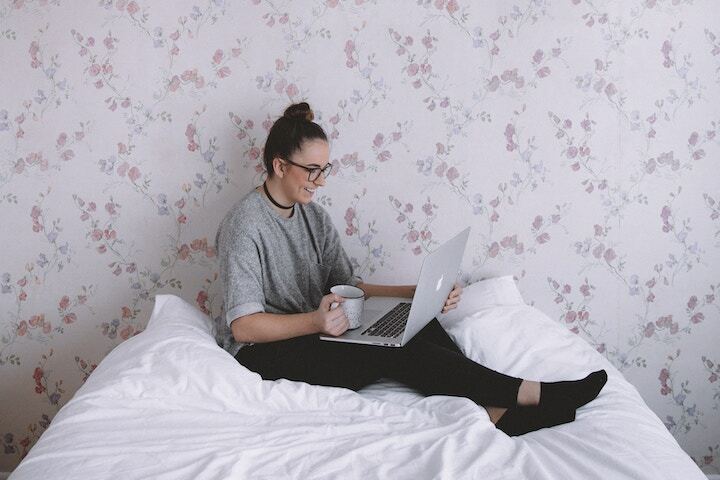 43% of remote workers identify as freelancers according to a recent study. Here's how you can elevate your skills while traveling to stand out in the crowd. The remote work community is filled with freelancers. In fact, a recent study conducted by Remote Year and And Co revealed that 43% of respondents who worked remotely identified as freelancers. It makes sense. Freelancers have the unique ability to find their own clients and set their own schedule. You could say that the freelance workforce grew because of the expansion of technology that allowed global professional communication and access. As a freelancer, you’re more equipped than ever before to work where, when and how you want. Collaborative software and cloud storage make communicating with your clients and executing your projects simple and seamless. You can decide whether you want to work from one city and make it your home base, or travel the world while meeting your deadlines and crushing it for your clients. If a flexible lifestyle appeals to you, but you’re stuck on how you can make the most of your travel experience while making a consistent freelance income, you’re in luck. We’ve put together a list of tips and tricks that will help you successfully work and travel as a freelancer. Apply for a chance to become a Lorem VIP Expert and receive enough client work to cover the cost of Remote Year. While you’re on the road, working from cafés and coworking spaces, it’s likely that you’ll run into other freelancers who are pursuing a similar lifestyle to your own. Joining a work and travel program is another option for remote freelancers who are interested in being a part of a tight knit community, one that will push them to achieve their personal and professional goals. How can this help you elevate your freelance career? Beyond the support that you’ll receive from your remote community, these people can also help connect you with potential new clients. The other members of your work and travel program are workers in their own right, with relationships that span industries and professional levels. Once they get to know you, they may recommend you to their colleagues - and you might just sign a new client. In addition to in-person interactions, Remote Year work and travel programs have access to Slack channels specifically created for freelancers. Participants post freelance opportunities in the channel, along with tips and tricks for how to work and travel as a freelancer. Work and travel allows you to get outside of your comfort zone - and your geographic region - when it comes to pitching and securing new projects. Once you get out of the city that you’re used to working from, the opportunities to work with global clients comes into focus. You won’t have to limit yourself to local clients now that the world is your oyster. On a work and travel program, you’ll have even more chances to interact with local decision makers. As you work from coworking spaces around the world, there will be times where you can engage in simple water cooler talk with local entrepreneurs and freelancers, just like you, and other times where you can attend professional development events and network with local professionals on a more formal level. Each option gets you in front of potential clients in markets that you may have never been able to reach had you not decided to work remotely. A simple way to find freelance work while you’re traveling is to join a platform dedicated to connecting freelancers with potential clients and projects. If you’re a web developer or designer, for example, Ask Lorem could be the perfect fit. Ask Lorem is a curated community of expert web developers and designers that provides services to business owners and decision makers. Every expert has to pass a rigorous vetting process to test their technical background, communication skills, and professionalism. Then, experts are paired with clients that best fit their skillset, they’re paid and there’s none of the back-and-forth hassle that so often is the bane of a freelancer’s existence. Interested in becoming an Ask Lorem expert AND getting the chance to join a Remote Year work and travel program? Fill out an application here. Finally, another way to elevate your freelance career while you’re on the road is to actively seek out inspiration. Though coworking spaces are beautiful, set aside time to do a bit of exploring in your temporary home. Every city has its own backstory, its own unique culture, a style that is unlike any other. Let the vibe of every street give you inspiration for your next article, your next UX design, or your next social media strategy. Meet with local artisans, chefs, and shop owners and learn how they got to where they are. Ask them about the city’s history and if there are any hidden gems in the city that you should seek out. If you open yourself up to it, the world is waiting to inspire you.